Setup Area: 25x25 foot level area is needed for setup. 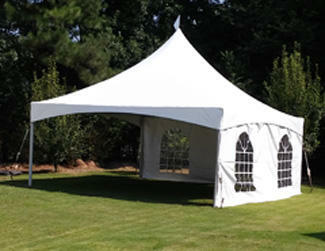 20x20 size tent fits in most backyards or driveways. Perfect for weddings, graduations and more! 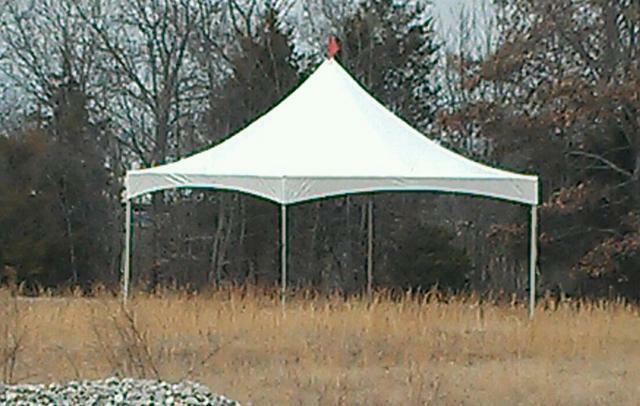 Optional add-ons include sidewalls (as pictured below), lighting, and heating... call us for pricing. For soft surfaces such as grass, we secure using stakes driven into the ground. Customer is responsible for having any utilty/sprinkler lines clearly labled proir to install. For hard surfaces such as concrete, we use concrete weights to secure tent. Additional $100 charge applies to any surface where staking is not possible or not allowed, due to weigting requirements.